New players only. Min deposit £5, get 300% bonus up to £105. To withdraw related to bingo bonus, wager 4x times the deposit + bonus funds. To withdraw games bonus and related winnings, wager 80x time the amount of the bonus. Wagering requirements vary by game. Deposit can be withdrawn at any time. New players only. Deposit £10, get 250% bingo bonus (up to £250). To withdraw wins related to bingo bonus, wager 2x the deposit + bonus funds. Deposit can be withdrawn at any time. New players only. 300% match bingo bonus up to £120 on 1st deposit, 30 days expiry. £10 min & £500 max deposit. Wagering requirements (4x Bingo). New players, min deposit £10 for 200% bingo bonus up to £50 + 50 Free spins. 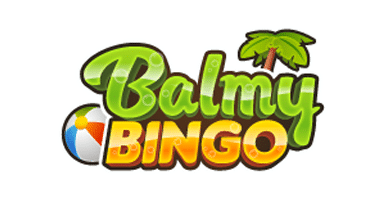 Bingo bonus WR: 4x (deposit+bonus). Spins capped at £12.5, WR: 50x (deposit + bonus). Games Bonus wins cap: £400 + the initial bonus amount. UK only - your deposit balance is available for withdrawal at any time. Valid once per household, first deposit only. Min deposit £10. Package consists of: Kaching tickets x60, Big Bang Tickets x4 & 10x spins on Fruity Too, all credited automatically. Free spin wins capped at £1 cash. No wagering on winnings.